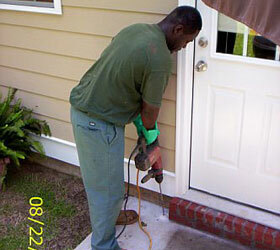 Termites are controlled utilizing two methods of application. 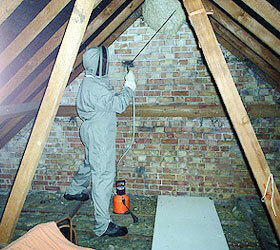 As professional Pest control Operators, we have the knowledge, the experience, the materials and the equipment to protect your home against termite damage. Conventional treatments include surface spraying, drilling, trenching/rodding and treatment with a low-odor termiticide. 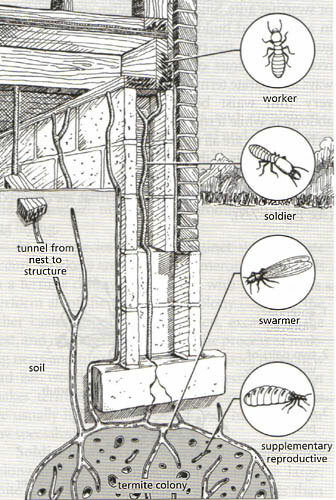 The Soil Treatment System, which eliminates every termite in every colony, down to and including the nest where the termites live. 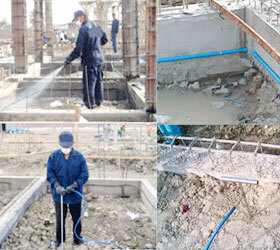 Soil Treatment System requires drilling/trenching in the floors/soil or foundations. Because the Soil Treatment System actually eliminates the termite colony, it delivers great peace of mind through confidence that your home is protected from termite attack. 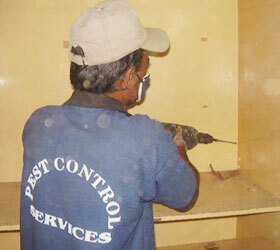 Spot Treatment : Spot Treatment in every infested runaway area along the Wall-Floor Joint line of the building structure in the route places of Termite, in addition to the already infested wooden articles like wooden doors, windows, floors, walls, frame, ceiling box, cabinet etc. to be brought under treatment by injecting pesticides in the spot. Spray Treatment : Already infested surface area like floors, walls, doors, ceiling, and furniture like shelves, cabinet etc, to be brought under treatment by heavy surface spray including raise and false ceiling of the premises against further termite infestation. 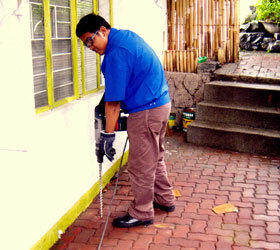 Electrical Conduits : to be treated with suitable anti termite insecticide. Post Construction Soil Treatment: Digging trench all around the building structure to make a barrier for life long prevention against further attacks from outside Termite colony. Termiticide to be poured in three layers consecutively and sprayed in layers. Concrete Area : Concrete area around the building to be drilled at an interval of maximum 1 feet and pesticide to be injected in the holes. Pre-Construction Soil Treatment : Soil treatment in every sq. ft. surface area in the bare plot/soil for the long time prevention against further attack from inside/outside termite colony. Hole will be made by digging in the soil in every Sq. Ft. and termiticide will be poured and in addition to be sprayed thoroughly in entire plot.